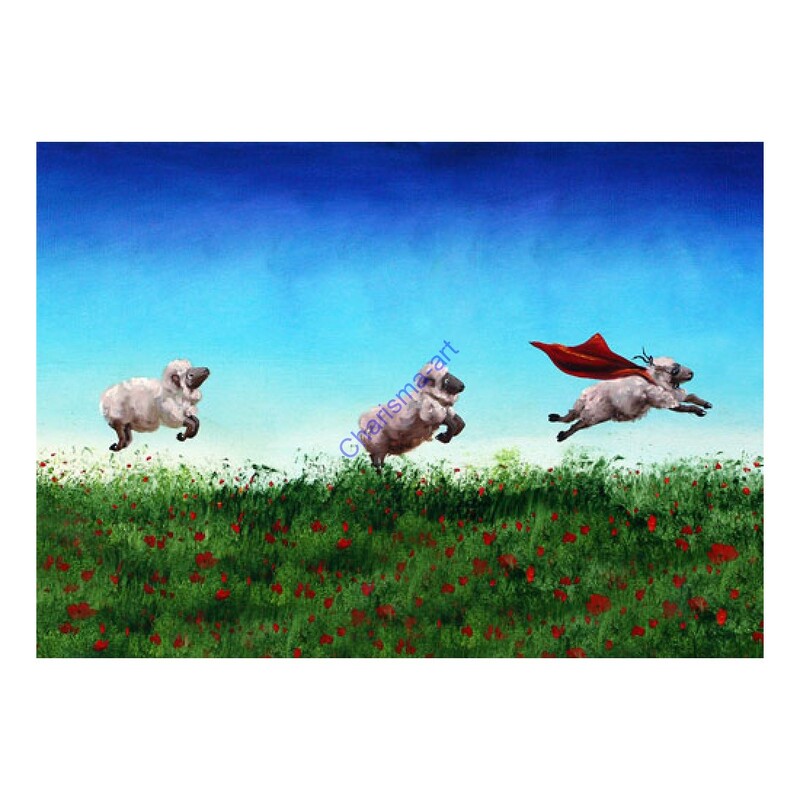 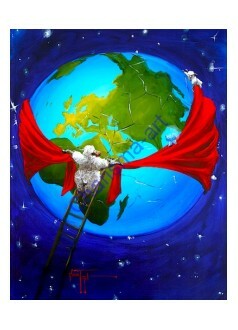 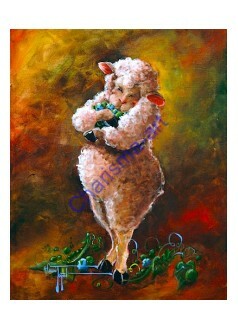 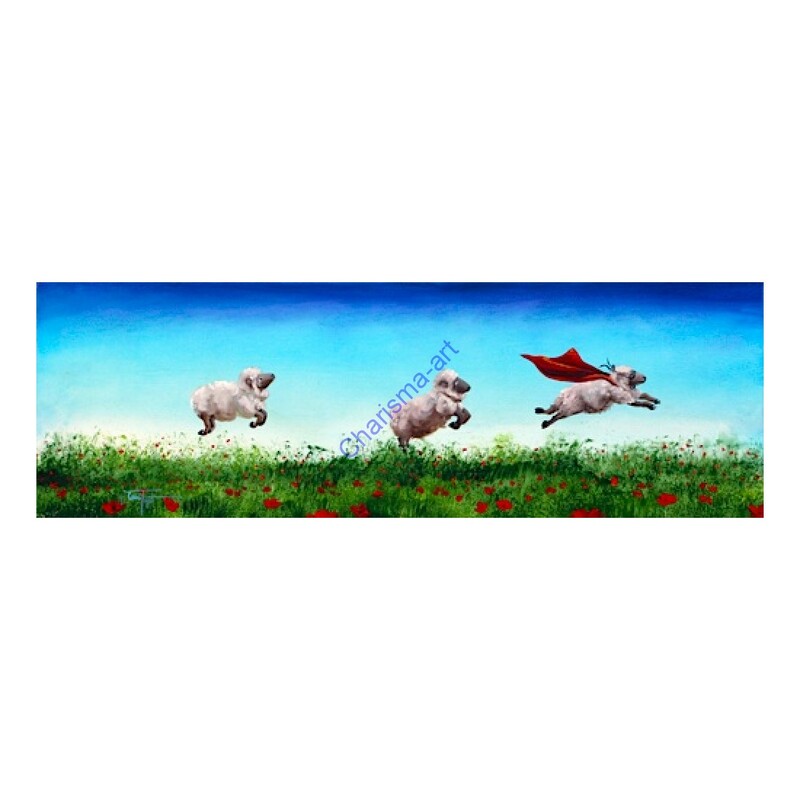 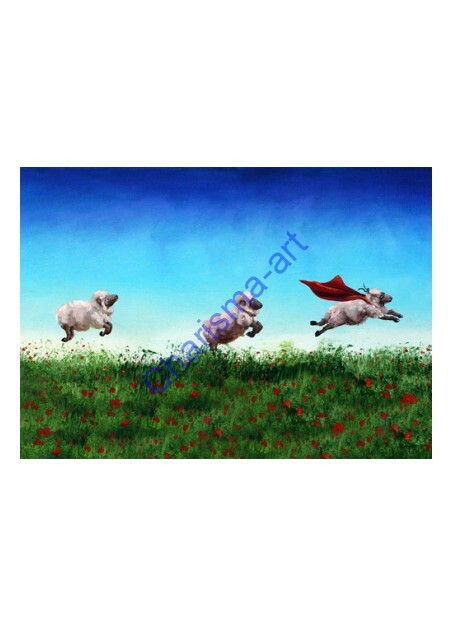 The fun sheep art by Conni Togel has an important message to impart to every person on earth: be eweself, and never be too shy to wear that cape and mask. 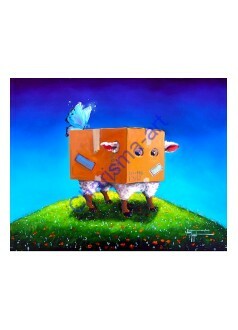 Dare to be different! 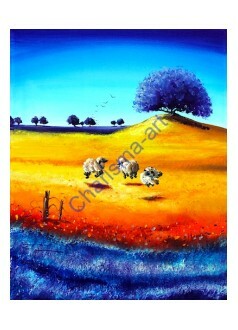 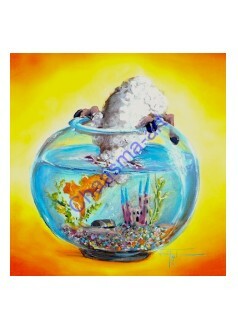 - prints on paper in double mats in standard frame sizes, and on canvas, gallery wrapped or framed.